“For only as a human being could he die, and only by dying could he break the power of the devil, who had the power of death. Only in this way could he set free all who have lived their lives as slaves to the fear of dying” (Hebrews 2:14b-15 NLT, second edition). One of the things Jesus came to Earth to do is take away your fear of death. How? By dying on the cross and being resurrected to show that there is life after death. The Bible says in Hebrews 2:14-15, “For only as a human being could he die, and only by dying could he break the power of the devil, who had the power of death. Only in this way could he set free all who have lived their lives as slaves to the fear of dying” (NLT, second edition). God wants to break the fear of dying in your life. 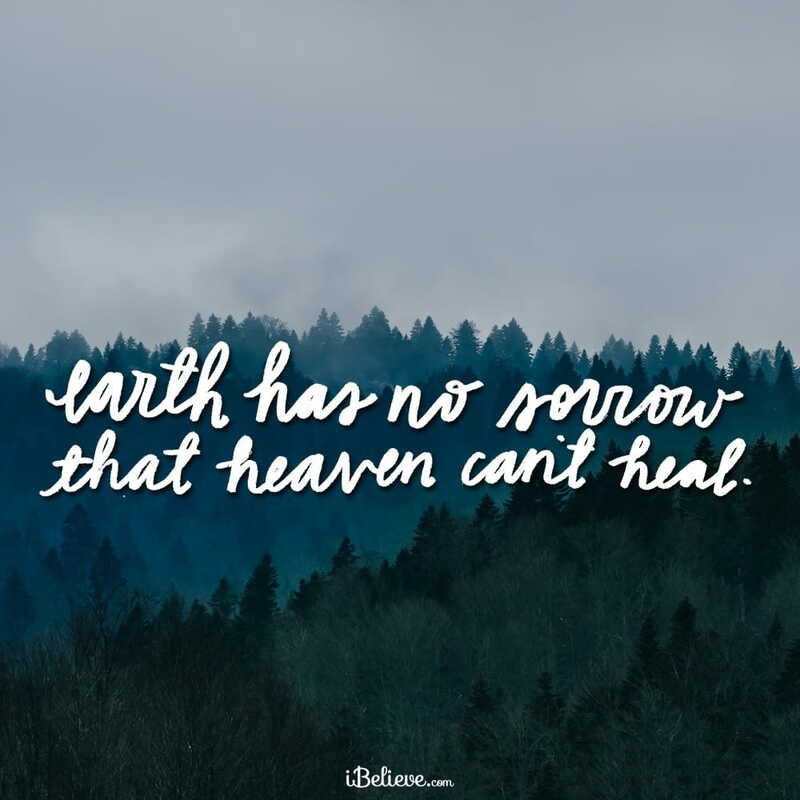 Instead of looking to your pain here on Earth, God wants you to look to him and the hope of Heaven. And, he wants you to help those who are dying to do the same. When someone is dying, you need to encourage him to do what David did: “Death laid a trap in my path. But in my distress I cried out to the Lord” (Psalm 18:5b-6a). Have you ever done that? Have you cried out to the Lord for his grace and mercy and accepted his offer of salvation? You can’t offer to other people what you haven’t received yourself. If you haven’t settled the issue of your salvation, you’re gambling with your eternity. If you were to die today, are you absolutely certain that you would go to Heaven? If you’re not sure or answered “no,” you need to settle the issue right now so that you can be assured of life after death and point your friends to the hope of Heaven. "Dear God, you are God, and I’m not. You sent Jesus to be my Savior, so I must need to be saved. I need you to forgive the things I’ve done wrong in life. I need you to give me a fresh start in life. I need you to help me know my purpose. I want to begin a relationship with you. I ask you to come into my life. I want to learn to trust you. I want to learn to love you. I want to learn to love other people the way you want me to. So I ask you today with humility and honesty and sincerity to please save me as I put my trust in you. I pray this prayer in Jesus’ Name. Amen." Editor’s Note: Content taken from the devotional, Daily Hope with Rick Warren, Settle Your Destiny So You Can Help Others Do the Same, written by Rick Warren. You can read that piece in full here. All rights reserved.